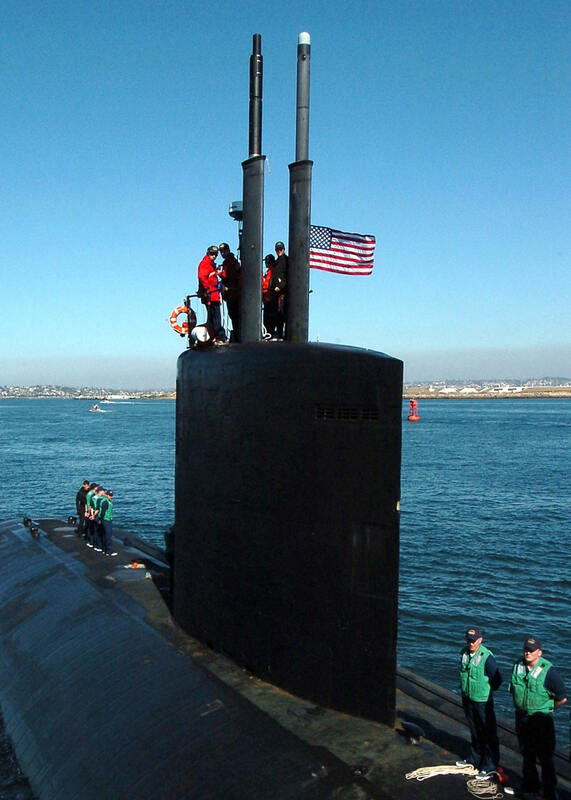 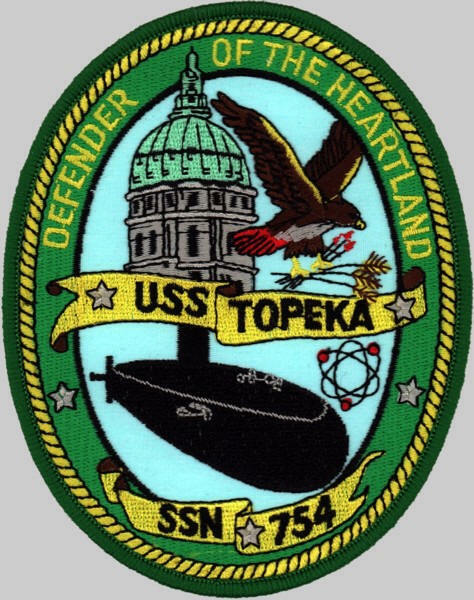 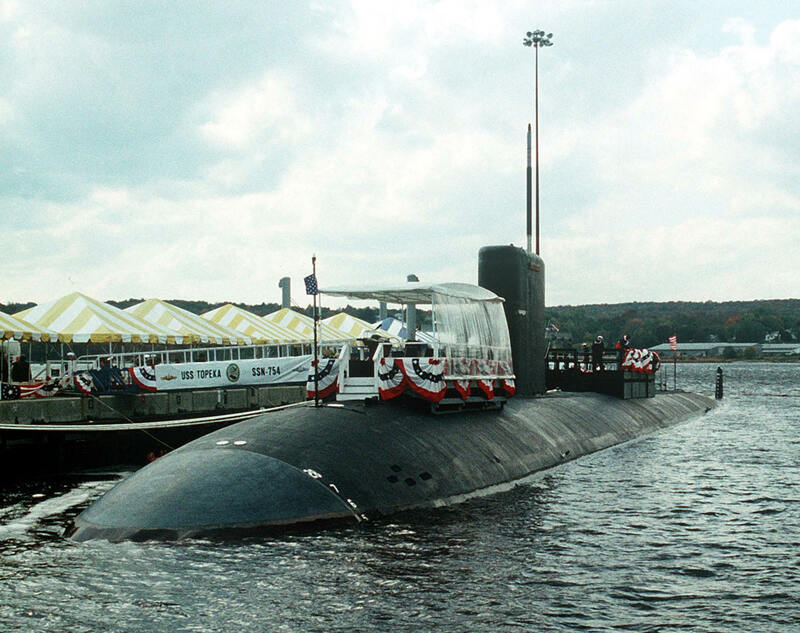 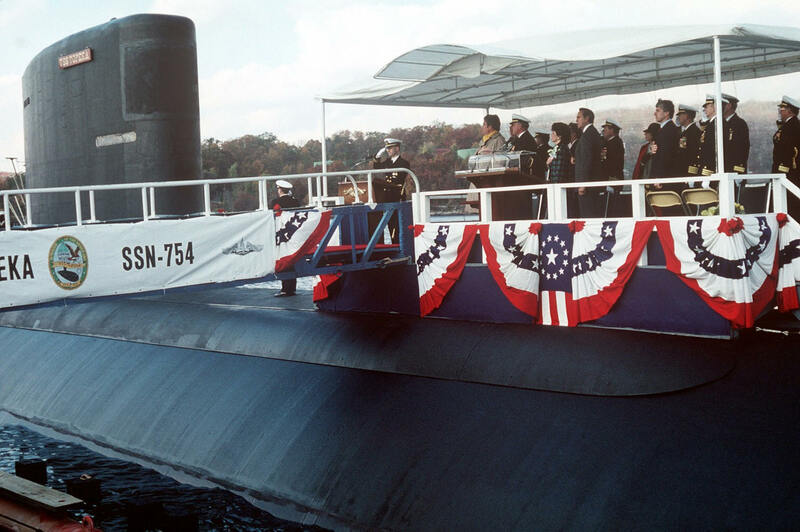 The third Topeka (SSN-754) was laid down on 13 May 1986 at Groton, Conn., by General Dynamics Electric Boat; launched on 23 January 1988; sponsored by Mrs. Elizabeth H. Dole, wife of Senator Robert J. Dole of Kansas; and was commissioned on 21 October 1989, Cmdr. 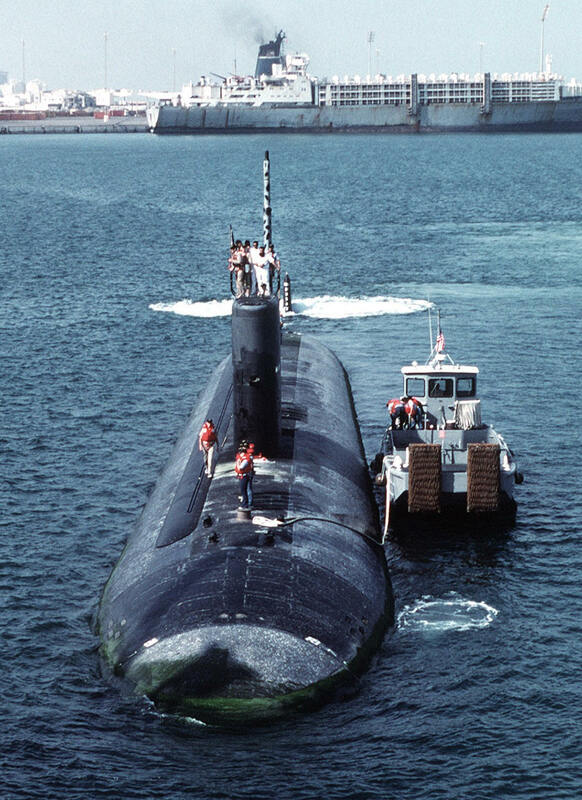 Timothy M. Reichert in command. 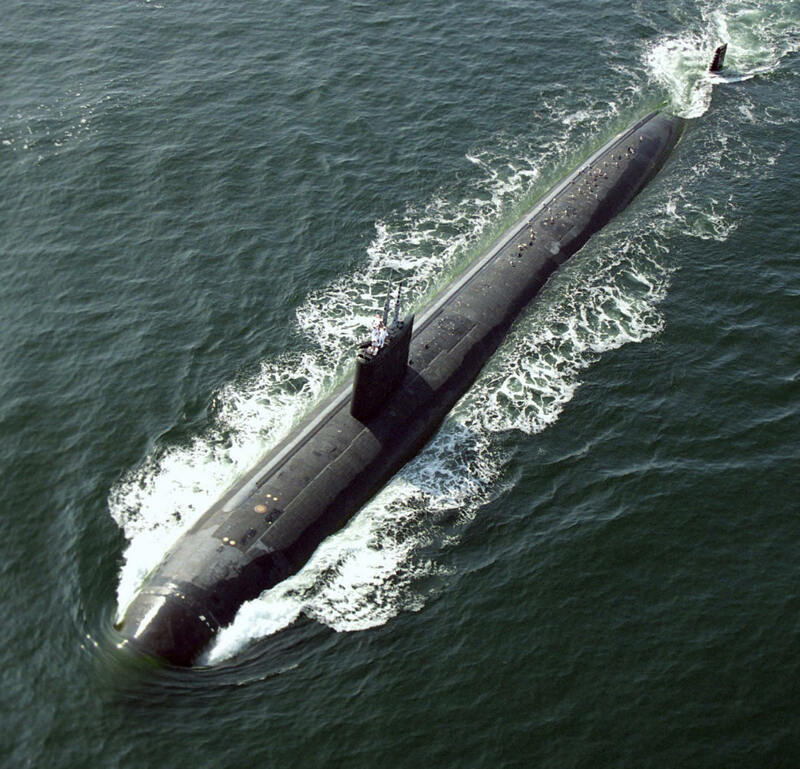 In 2003, the Pacific Fleet conducted a pilot deployment “to add teeth and firepower” to the fleet An expeditionary strike group (ESG), centered around amphibious assault ship Peleliu (LHA-5), provided surface and submarine force war fighting capabilities to the traditional amphibious ready groups (ARGs). 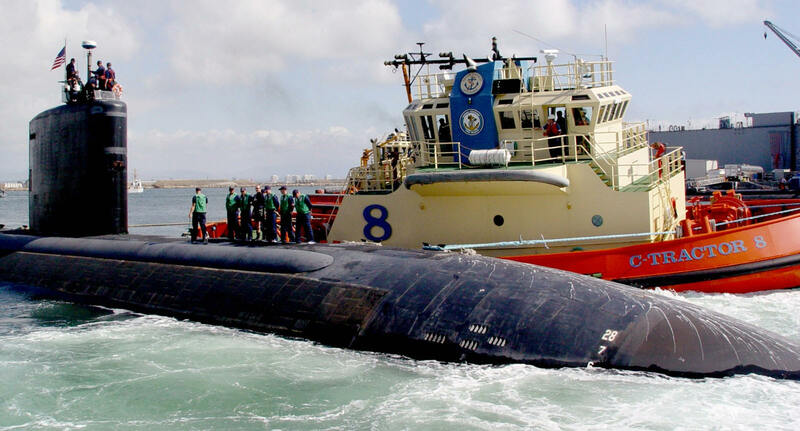 The concept emerged as part of the Chief of Naval Operations’ Sea Power 21 strategy. 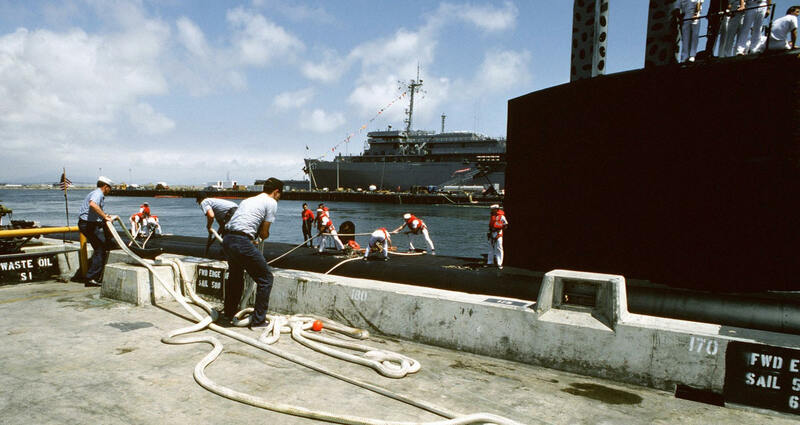 The ESGs were to enable the fleets to cover more parts of the world effectively, providing mobile, self-sustaining forces able to undertake missions across the entire spectrum of operations. Each of the ARGs normally included an amphibious assault ship, a dock landing ship, and an amphibious transport dock, and embarked a marine expeditionary unit. 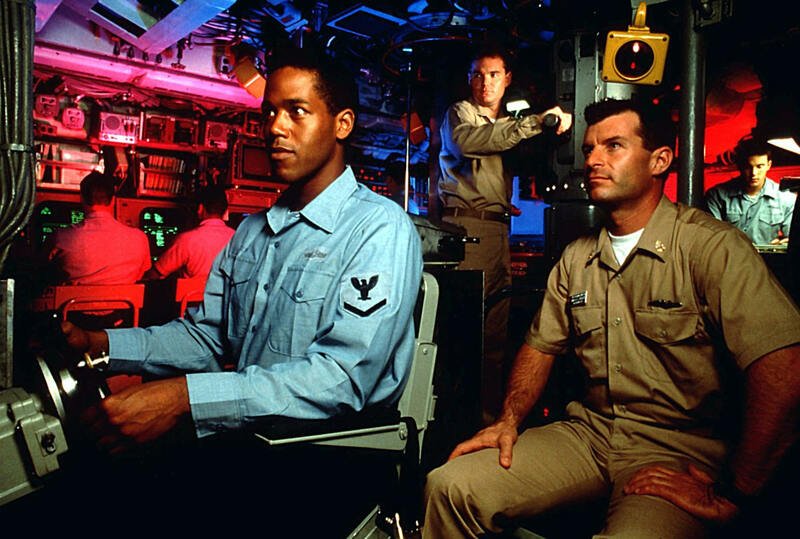 The ESG concept enabled the Navy to organize 12 carrier battle groups and 12 ESGs, in addition to surface action groups. 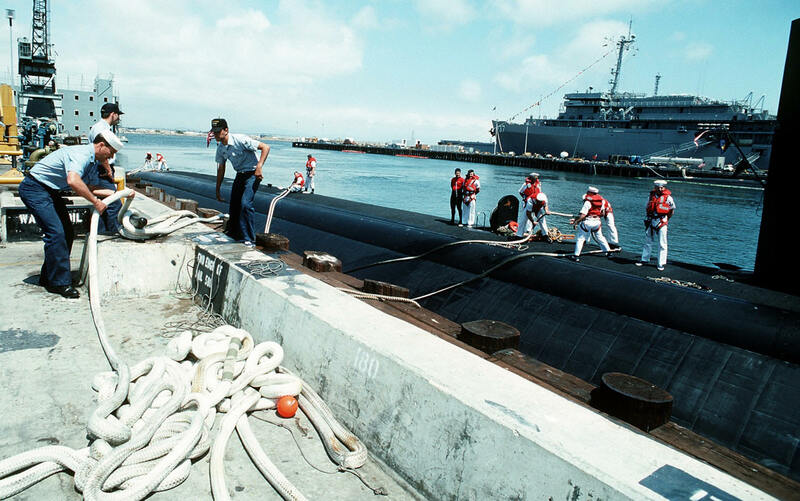 The concept ultimately was intended to nearly double the number of independent operational groups the Navy could deploy, from 19 to 38. 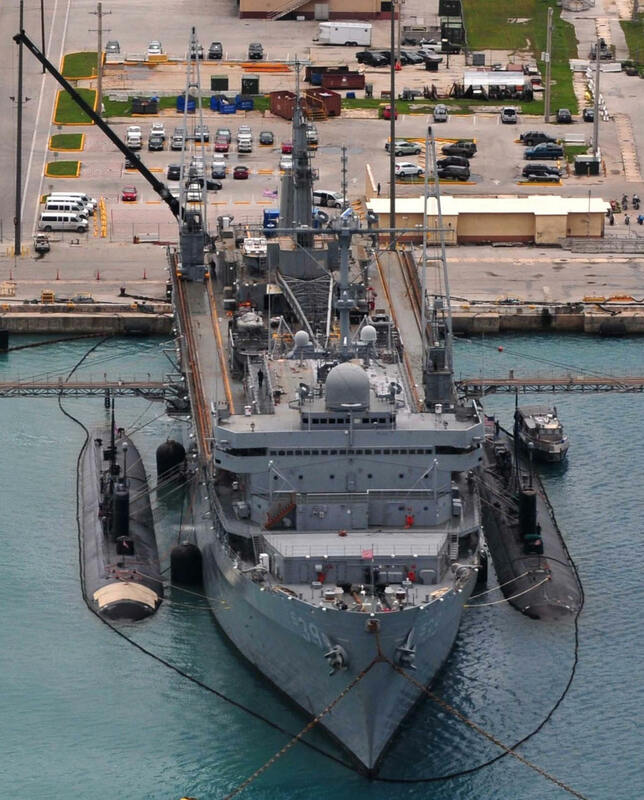 The Peleliu ESG was also to be composed of amphibious transport dock Dubuque (LPD-8), dock landing ship Germantown (LSD-42), guided missile cruiser Port Royal (CG-73), guided missile destroyer Decatur (DDG-73), guided missile frigate Jarrett (FFG-33), and Topeka. 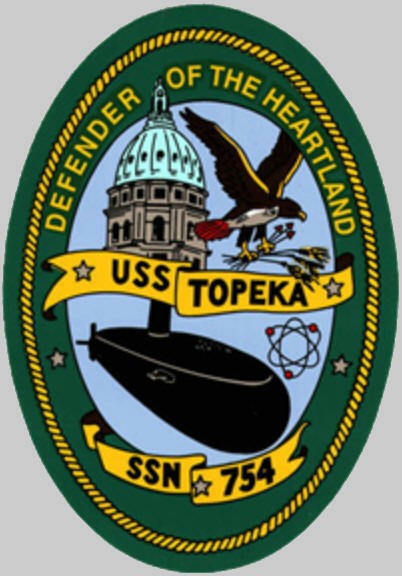 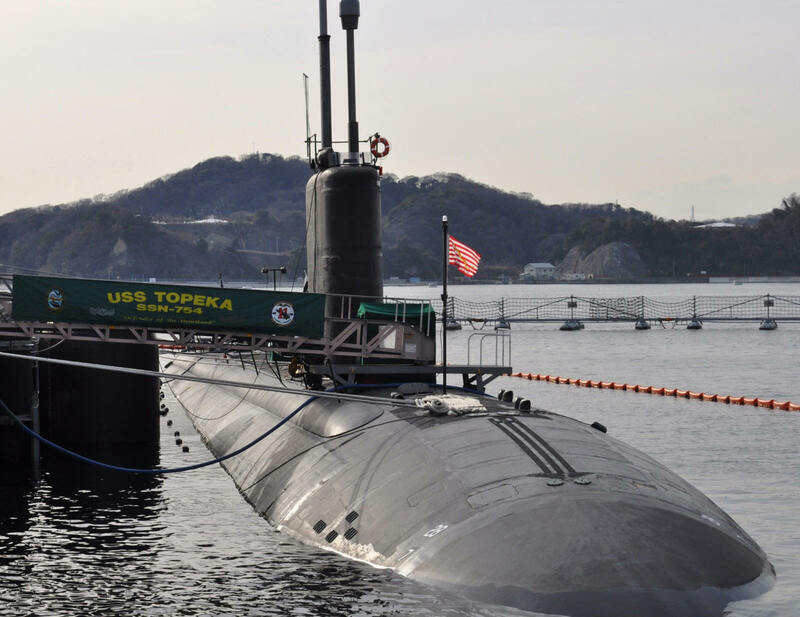 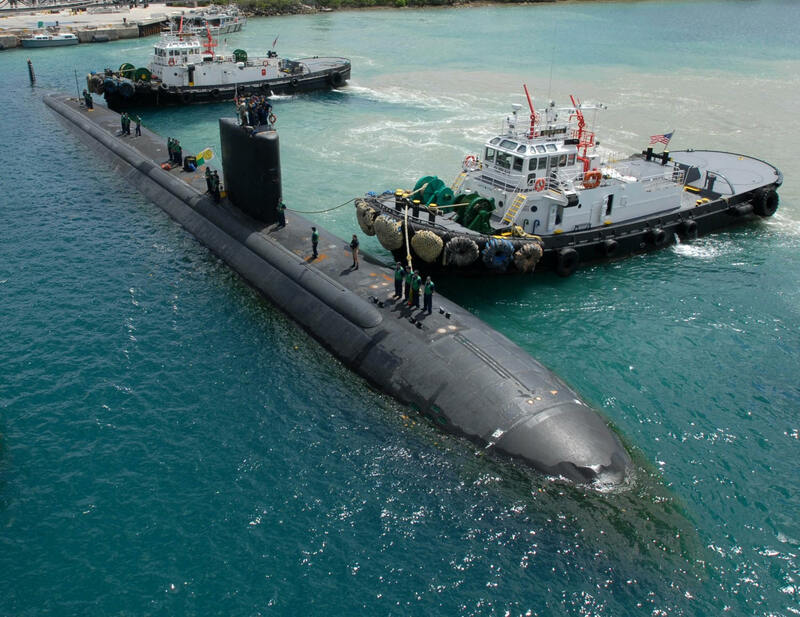 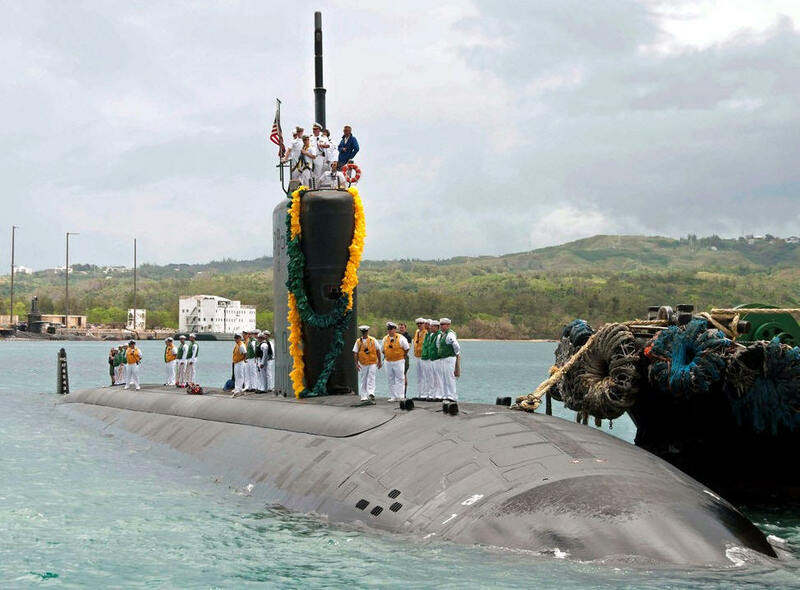 On 11 February 2014, the Navy announced that Topeka was to be forward deployed to Naval Base Guam as part of the service’s long range plan to reposition its most advanced and capable ships and submarines. 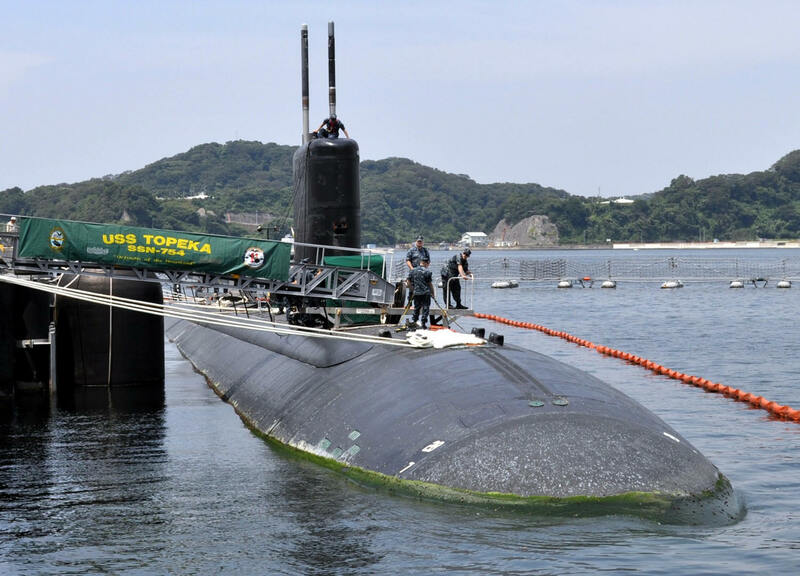 Topeka completed an engineering overhaul at Portsmouth Naval Shipyard, Portsmouth, N.H., and then sailed for the Marianas, reaching her new homeport on 29 May 2015. 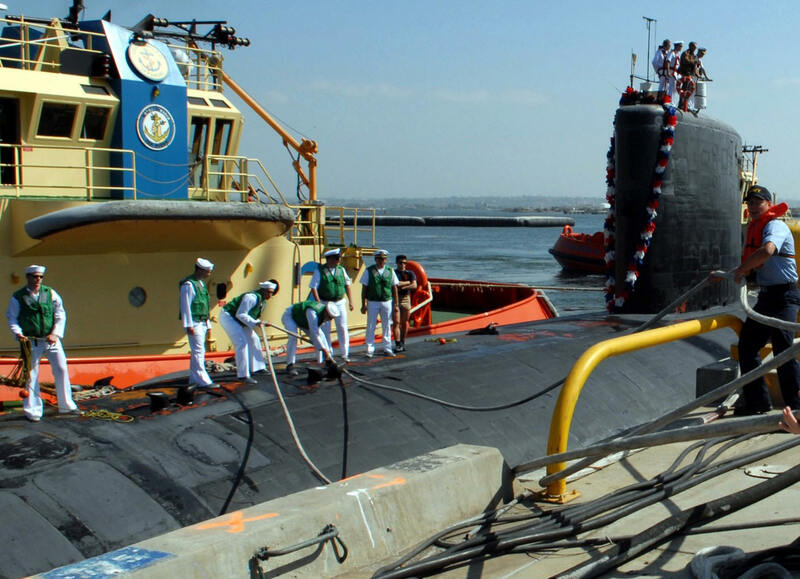 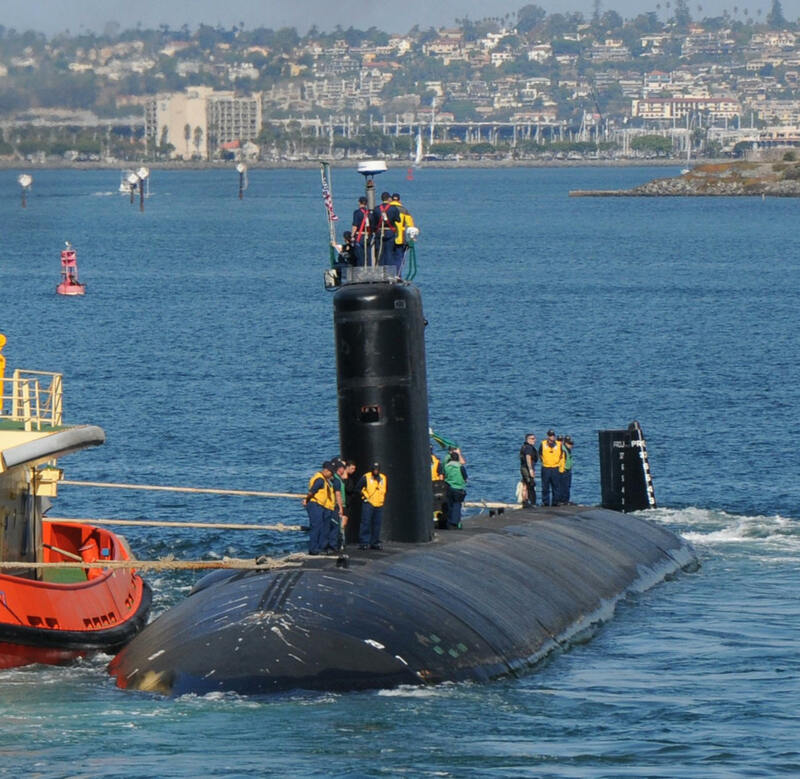 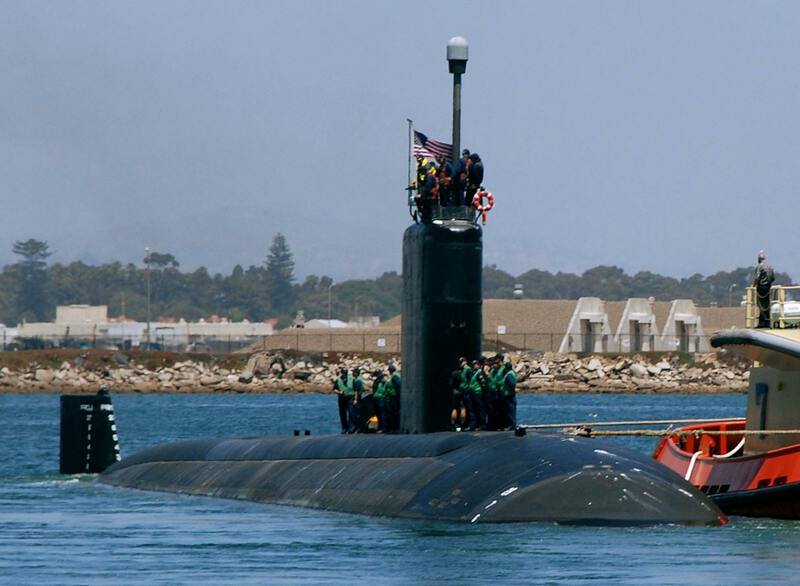 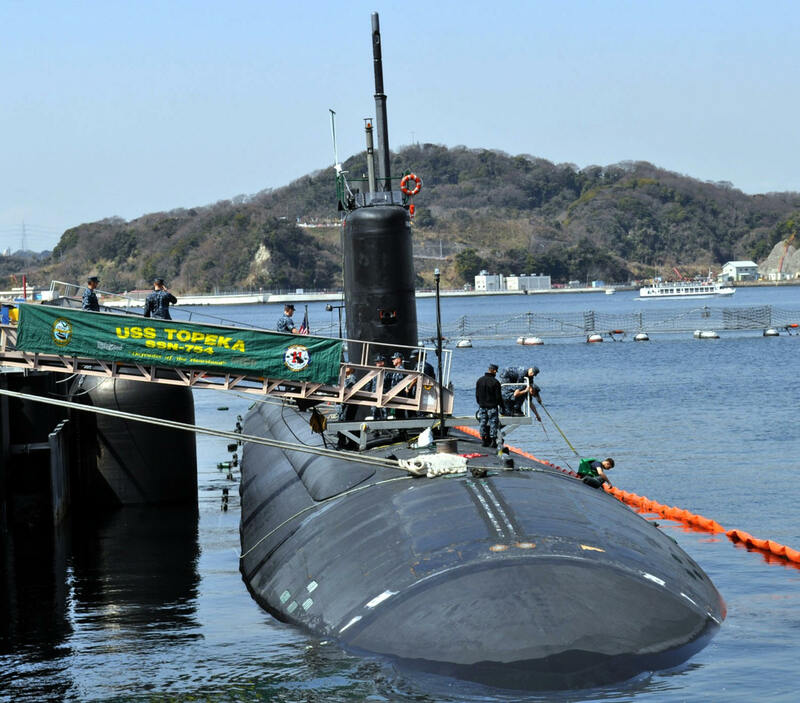 Her arrival marked the fourth submarine assigned to Commander, Submarine Squadron 15. 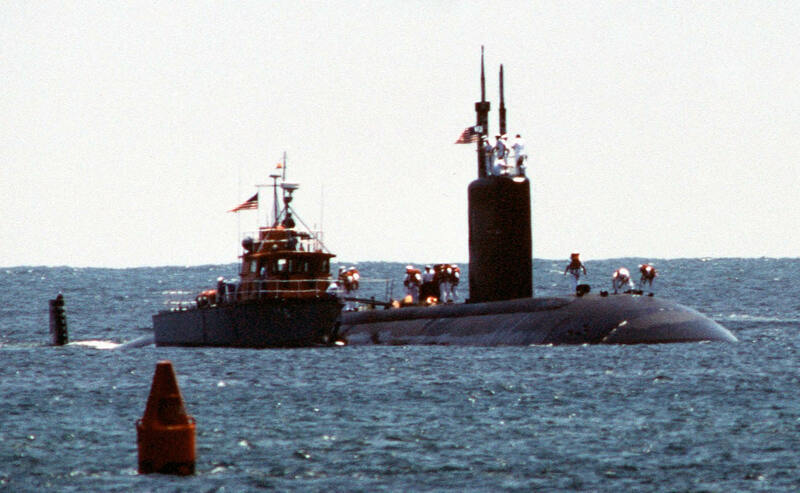 In 1993 the mini series Submarines: Sharks of Steel used the Topeka to produce segments of their program. 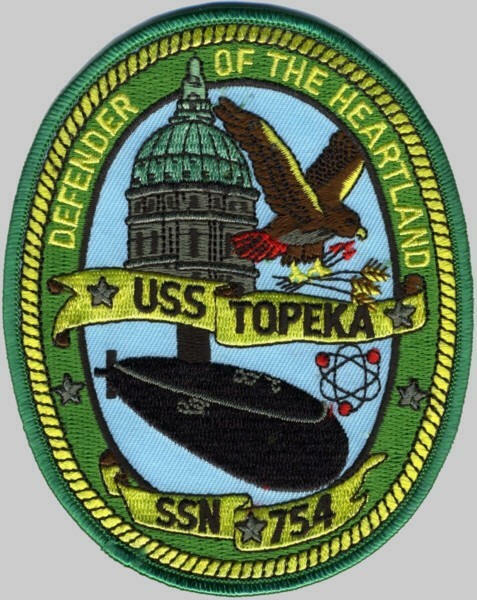 During New Year's Eve 2000 the USS Topeka straddled the international dateline, thus was famously "in two millenniums at once". 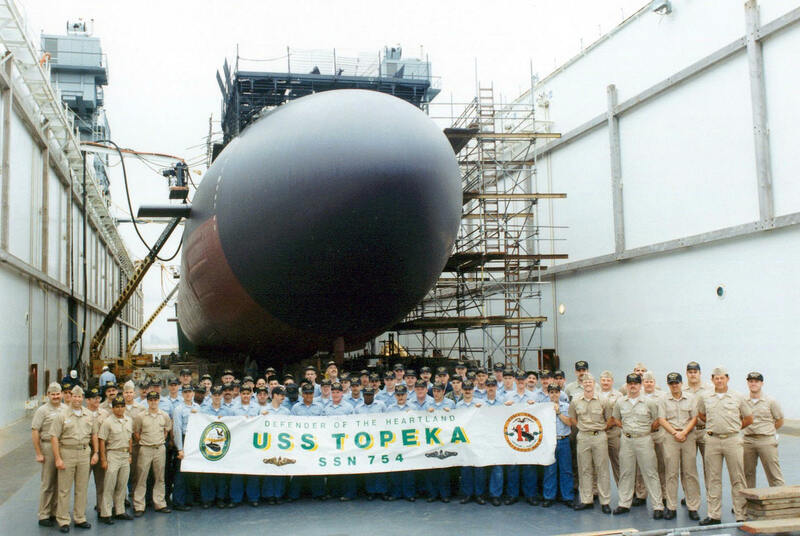 In October 2002, after completing a Modernization Period in Pearl Harbor Naval Shipyard, Topeka shifted homeport to San Diego, California, from Pearl Harbor. 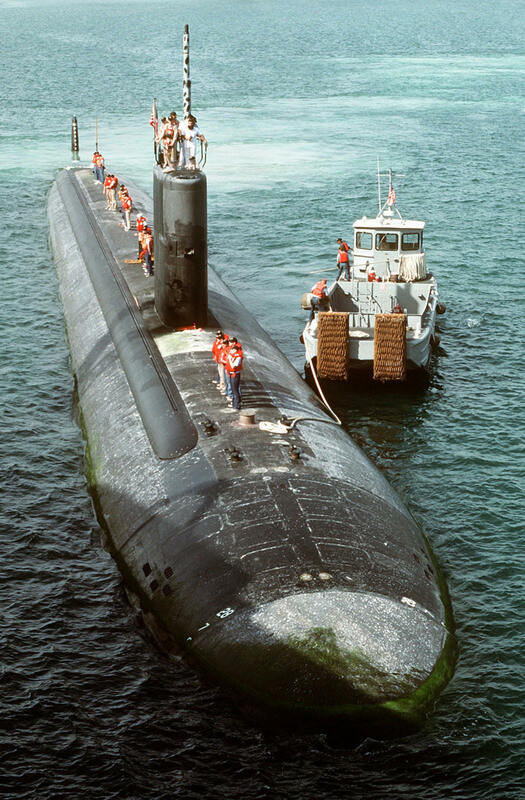 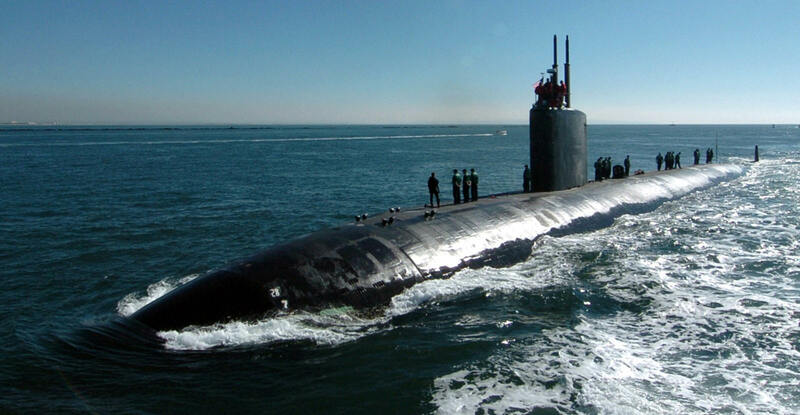 In December 2012, the submarine began an overhaul at Portsmouth Naval Shipyard. 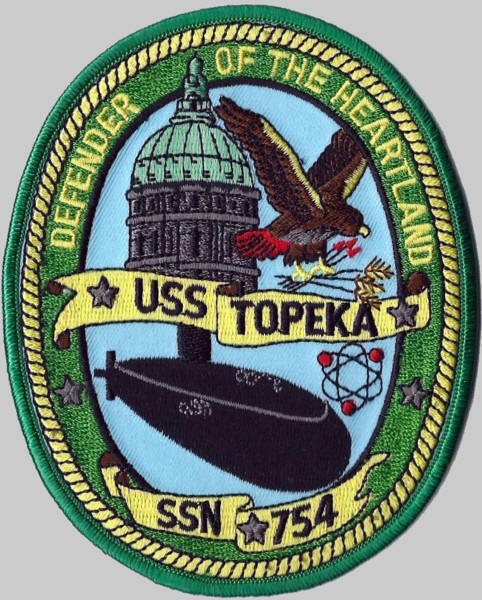 Earlier that same year the submarine completed a six-month-long deployment in the Western Pacific, covering around 35,000 nautical miles. 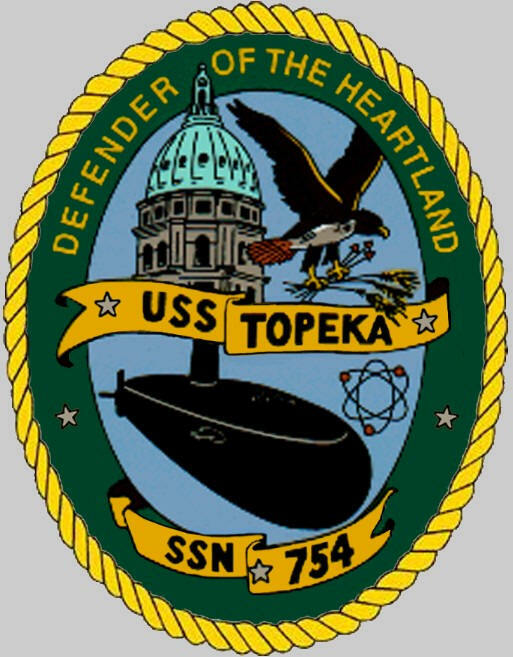 In May 2015, after miscellaneous repairs at Pearl Harbor Naval Shipyard, the Topeka shifted homeport to Naval Base Guam as part of the U.S. Navy's rebalance of force into the Pacific.